A group of scientists, foresters, and others met at Western State College on Friday, May 9 to try and answer that question and discuss the event known as Sudden Aspen Decline, or SAD. SAD is a phenomenon that was first noticed in 2004, when foresters in southwestern Colorado began to report an unusual dieback and mortality of aspen. Since then, the syndrome has been found in Gunnison County and other areas. The ultimate cause has not yet been discovered. So far, the decline has left more than 358,000 acres, or some 13 percent, of aspen dead and dying throughout Colorado, from the roots to the canopy. The people charged with the aspen’s management are left scratching their heads. According to Worrall, what likely causes SAD isn’t one single factor, such as drought or age, but a combination of things that push the trees into a weakened state, which leaves them vulnerable to attack from natural predators. “There are really three factors of cause: Predisposing factors such as the age of the trees. Then there are inciting factors like drought and the warm growing seasons we had early in this decade, and finally the contributing factors, which are the insects that go after the weak trees. All of these factors are part of the decline,” says Worrall. The Mancos-Dolores district of the San Juan National Forest is what researchers studying this event are calling the “epicenter” of the outbreak. A study of the die-off started in 2006 and since then the effort to find the cause has increased, but so has the spread of SAD. During routine examinations of aspen stands in Mancos-Dolores area between 2002 and 2003, scientists were finding less than a 10 percent mortality among the trees, which is a “healthy” level of die-off, according to the Forest Service. When the stands were revisited in 2006, there was between 30 percent and 60 percent mortality. “In some areas the mortality we’re seeing is nearly 100 percent, and it is not uncommon to see 100 percent mortality in some of these stands and there is very little regeneration in the understory. This is what really attracted a lot attention,” says Worrall. Aspen regenerate by sending shoots, known as suckers, up from a root system that runs horizontally under the ground. Without this process taking place, there are no young trees to take the place of those that die. Although the Mancos-Dolores district was where it first appeared, SAD has since spread along the Western Slope, particularly this last year, says Worrall, adding that other places are seeing as much devastation as the original epicenter. In 2007, an aerial survey of Gunnison County revealed 20,429 acres of aspen had been damaged, most of it presumably by SAD. That represents a 250 percent increase from the year before, when just 5,846 acres were affected, says Worrall. “However, most of the West Elks was not included in the survey, so this is an underestimate,” he says. Research conducted in areas affected by SAD show several factors that appear consistently in the dying stands, such as old age, recent drought conditions, relative location, stand density and five insects that are found in some combination in all of the stands. “What I think the drought has done is synchronized that mortality into a short time span. What might have gone on during a 50-year or more period, gradually stand by stand, is happening all at once,” says Worrall, referring to the dry conditions that existed in Colorado between 2000 and 2003. During that period, according to Worrall, there was also an adverse effect on the root systems, leading to a die-off underground that might not have happened in the normal deterioration of an aging aspen stand. According to the Forest Service, aspen can live 80 to 120 years and 98 percent of those in Colorado are at least 80 years old. That fact alone could explain why so many of the aspen are dying at once, but Worrall says that isn’t the whole story. There are also topographic and geographic similarities between areas where SAD has affected stands of aspen. For example, the research shows that stands at lower elevations seem to be more susceptible than those at higher elevations; aspen are more likely to be afflicted if they sit on flat areas rather than a steep slope. Research also shows that aspen growing on the south or southwest aspects of a hillside show higher rates of decline. Although high elevations and steep slopes can be found in abundance around Crested Butte, there is no immunity from SAD. To control the problems that SAD creates, the Forest Service and other land managers have methods of removing the dead aspen, such as prescribed fire and clear-cutting. Those have been employed in hopes that the lack of competition will help young trees mature. But without a healthy root system to regenerate the stand, foresters can do little to bring dead aspen back. 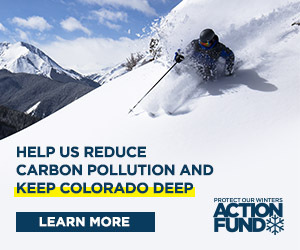 “As far as regeneration goes, people like to think that aspen always regenerate, but the actual facts of the matter suggest that a recovery may be poor in many cases and we know that suckering has to be vigorous to ensure the replacement of the stand,” says Worrall. Because the trees are dying en masse and not just one part at a time, the leaves that are needed to convert sunlight to energy for regeneration are gone and the cycle of growth is broken. “But we also know from declines in general that trees take a long time to die, but once they start down that path it is unlikely that they can reverse it, sort of like going down a toilet bowl,” says Worrall. But even if a stand of aspen regenerates where there was high mortality, survival of the stand isn’t a sure thing. The new trees still have to make it past the herds of deer and elk that feed on the small suckers, which is why forestry officials agree that a multi-faceted approach is needed. “Wildlife management, fire management and range management all play a role in figuring this thing out,” says Worrall. And among the gray of dying trees are a few patches of green. Stands of aspen that were cut in the 1980s and ’90s aren’t being affected like those that are made up of older trees. For more information on SAD, visit www.aspensite.org.